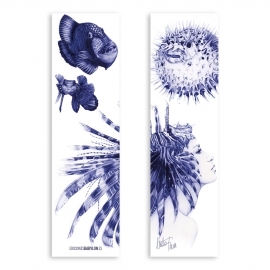 Size: 18 cm high, 5 cm width. 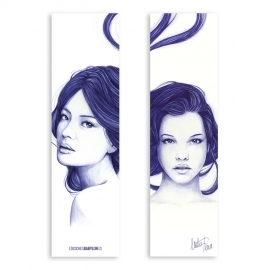 Double sided (a different illustration on each side). 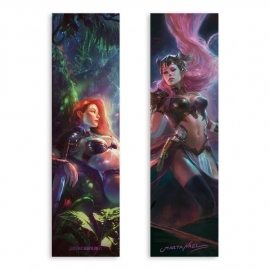 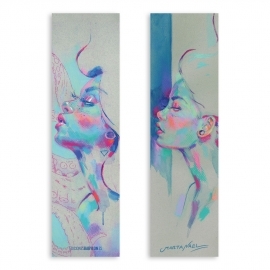 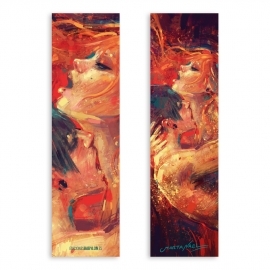 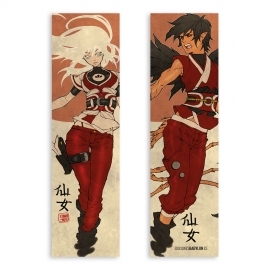 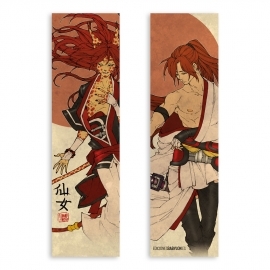 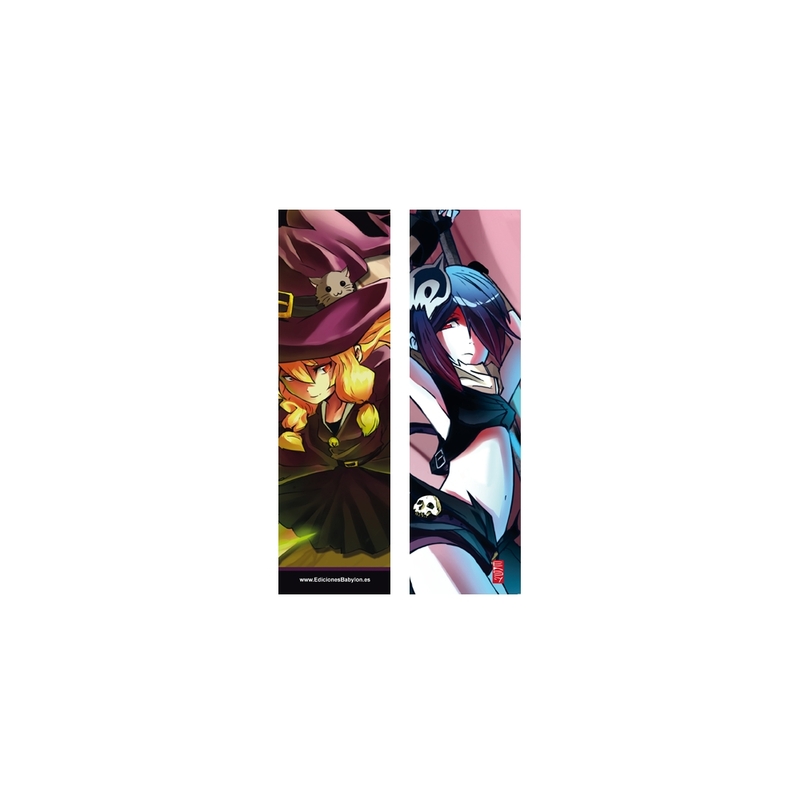 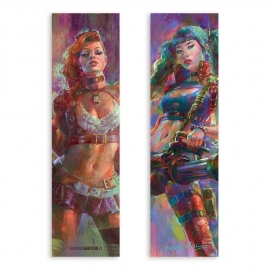 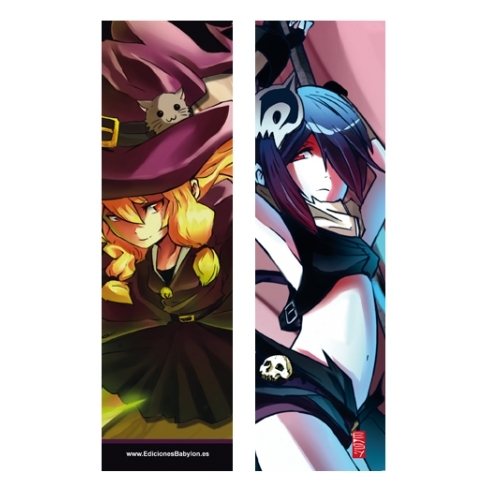 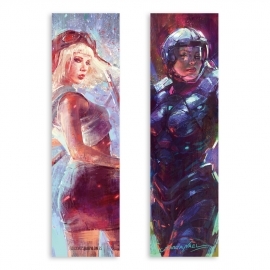 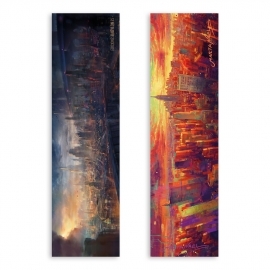 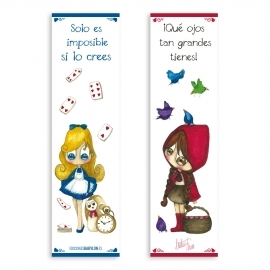 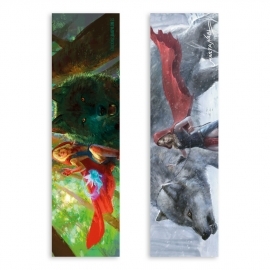 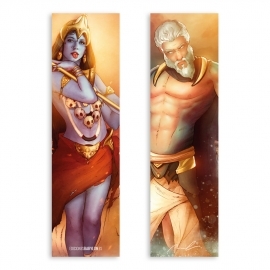 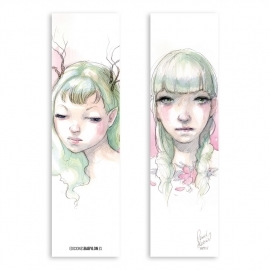 Original and exclusive bookmark to mark the page of the great book you're reading without damage its pages! 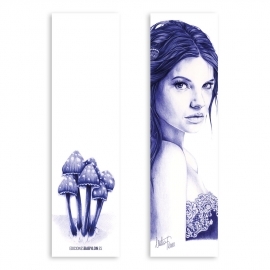 Illustrations by José Ramos (Easy). 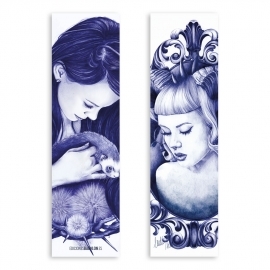 BOOKMARK · Illustrations by Marta Nael. 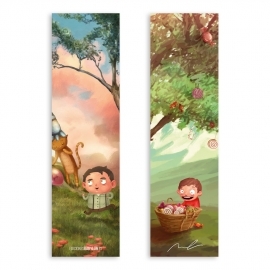 BOOKMARK · Illustrations by Xian Nu Studio. 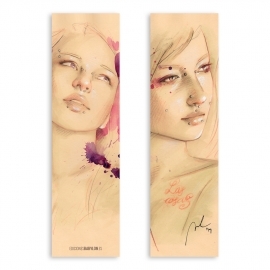 BOOKMARK · Illustrations by Jorge Monreal. 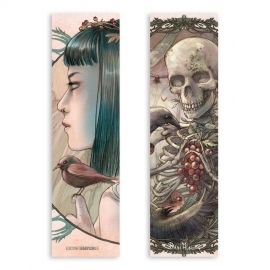 BOOKMARK · Illustrations by Dani Alarcón. 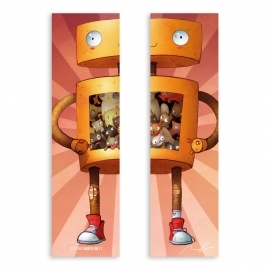 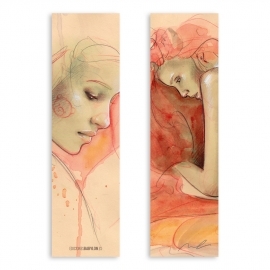 BOOKMARK · Illustrations by Cris Ferrer.